Porto Vintage Guesthouse town of Porto Porto Vintage Guesthouse is primely located in Porto’s centre. Featuring free WiFi access, the comfortable rooms of this B&B have high ornamented ceilings and most feature a view of the city. 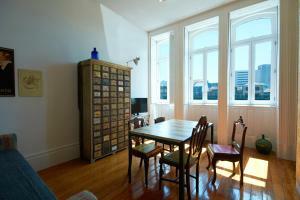 B. Artes town of Porto Arts features accommodation in studios and lofts located in Porto, just 1 km from central Aliados Avenue. The loft features a bed which is accessible through stairs. Campo 24 de Agosto Metro Station is 450 metres from the property and connects with most of the Porto area. Portas do Bolhão town of Porto Facing Porto Bolhão Market, the pet-friendly Portas do Bolhão offers apartments is a 19th-century building classified as a Public Interest Property. 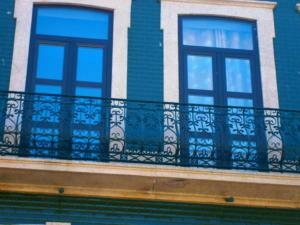 Galerias Paris, Lello Bookshop and Clerigos Tower are within a 10-minute drive from Portas do Bolhão. Oportoinn Garden town of Porto The Oportoinn Garden is located in a renovated building, located in the historical centre of Porto. The Faria Guimarães Metro Station is a 4-minute walk, while the central Trindade Metro Station is a 7-minute walk away. 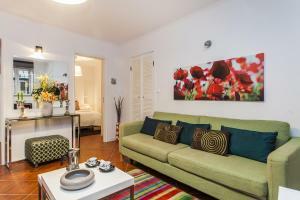 The carefully decorated apartments have ample areas and some also include a terrace. 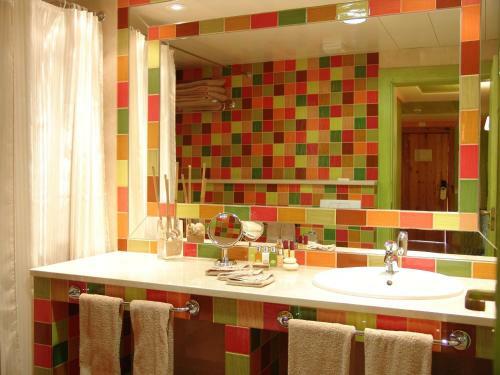 Fine Arts Guesthouse town of Porto price per day from € 98 Fine Arts Guesthouse has a connection with the arts, with contemporary design furniture, contemporary art pieces and reproductions of 20th century artworks. 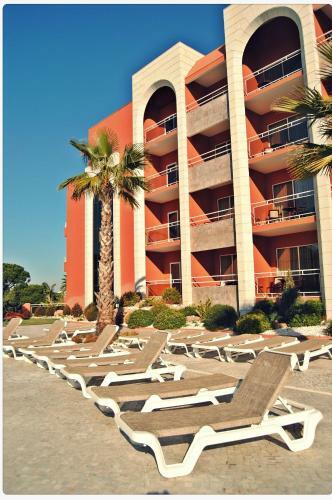 The spacious rooms are air conditioned and have private bathrooms. Guests may also prepare their meals leisurely in the kitchenettes, which include all the necessary utensils to prepare food..
Grande Real Santa Eulalia Resort & Hotel Spa town of Albufeira price per day from € 104 Grande Real Hotel is situated only 4 km away from Albufeira. Grande Real Santa Eulália features 4 outdoor pools as well as a hot tub, gym and sauna. All of the contemporary rooms are air conditioned and include satellite TV and a balcony..
Falesia Hotel - Adults Only town of Albufeira Surrounded by large gardens, this hotel offers a free shuttle service to Falesia Beach, a 5-minute drive away. Every room has an LCD satellite TV and free WiFi access. In the summer, the Show Bar offers live entertainment, and the Palm Bar offers cocktails in the garden..
Clube Maria Luisa town of Albufeira price per day from € 23 This beach front resort on Albufeira’s coast is located on a small cliff overlooking Maria Luisa Beach. It offers a swimming pool and self-catering accommodation. Guests of the Clube Maria can enjoy refreshing drinks and light snacks at the bar, or by the pool, which is surrounded by sun loungers..
Porto Bay Falesia town of Albufeira price per day from € 114 This hotel features private access to the white sandy Falésia Beach and 2 restaurants. Porto Bay Falésia is just few minutes’ walk from the eateries and bars of Olhos de Agua. 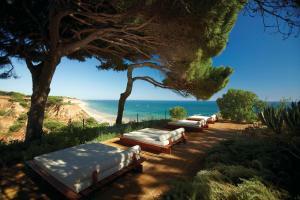 Guests can choose several beauty treatments, including reflexology and aromatherapy..
Sheraton Algarve Hotel town of Albufeira This 5-star hotel has a stunning cliff-top location above Portugal’s longest beach, Praia da Falésia. It features luxury spa facilities, 4 restaurants and a full-service Water Sports Centre. 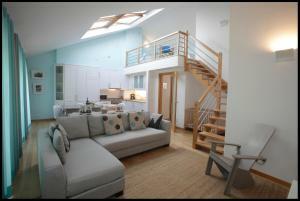 Most units also include furnished balconies with garden or sea views. 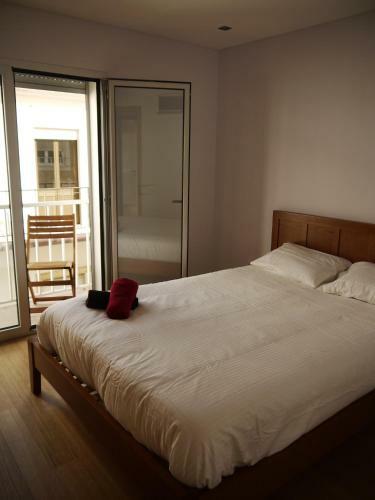 Apartamentos Nazare town of Nazaré price per day from € 23 Just 3 minutes’ walk from Praia da Nazaré, Apartamentos Nazaré offers spacious apartments with a fully equipped kitchen. Nazaré’s apartments have large windows and are decorated with wooden furniture..
Apartamentos Augusta 109 town of Nazaré Located in the heart of Nazaré, Augusta 109 Apartments are elegant, spacious and offer free WiFi in all areas. Guests staying at Augusta 109 Apartments will be able to prepare their own meals since each apartment features a fully equipped kitchen that open to the living room and dining area. 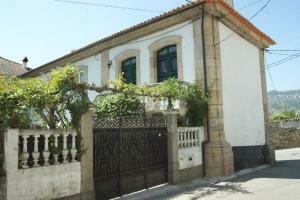 Peniche town of Peniche Peniche is a 3-bedroom apartment located in Peniche. The accommodation has a living room with a TV and a DVD player. Bed & Seaside town of Nazaré This duplex apartment is located in Nazaré, just 50 metres from the beach and enjoys Atlantic Ocean views from its balcony. Guests are welcome to cook their own meals in the apartment’s kitchen. The well-known Alcobaça Monastery is 13 km from the property..
Casa Dos Matos - Turismo De Natureza town of Alvados price per day from € 75 Casa dos Matos is a small, relaxed, and intimate hotel with beautiful natural surroundings. The area is perfect for hiking, horse riding, cycling, or for just enjoying a peaceful environment. 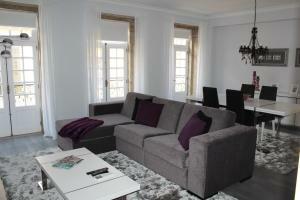 They are all decorated in different colours, and all have private bathroom, TV and an extra sofa bed. 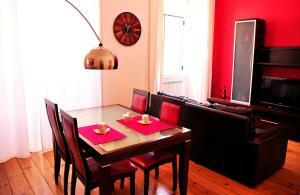 Liberdade Deluxe Apartment town of Lisbon Liberdade Deluxe Apartment is a self-catering accommodation located in the centre of Lisbon. Featuring a contemporary décor, this accommodation will provide guests with a TV, air conditioning and a balcony. LxWay Apartments Alfama Regueira town of Lisbon price per day from € 56 LxWay Apartments Alfama Regueira offers accommodation in Lisbon, 900 metres from Rossio and 1 Free WiFi is available throughout the property. Se de Lisboa III town of Lisbon Sé de Lisboa III is a self-catering accommodation located in the Alfama neighbourhood, Lisbon. The property is 550 metres from the Santa Apolónia Transport Hub. Alternatively guests can visit the restaurants within 100 metres and taste some of the finest traditional Portuguese recipes and listen to some Fado songs accompanied with some wine..
Lisbon Down Town Apartment by be@home town of Lisbon Lisbon Down Town Apartment by be@home is located 600 metres from Chiado, in the city’s historical centre. 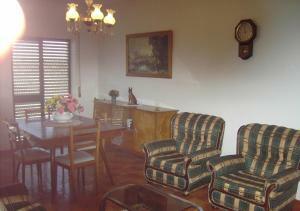 The living room also features a dining table and has a flat-screen cable TV as well. 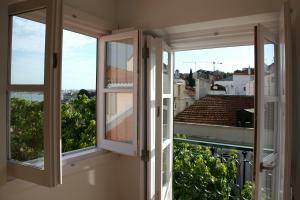 Bairro Alto Comfort Carmo town of Lisbon Enjoying a central location in Lisbon, Bairro Alto Comfort Carmo offers elegantly decorated apartment fitted with air conditioning and free WiFi. A variety of bars, restaurants and shops can be found all around the property. The fully equipped kitchen comprises a stovetop, oven and a microwave. Oporto View Apartments town of Porto A 3-minute walk from Porto Aliados Metro Station, the Oporto View Apartments features modern one-bedroom apartments with free WiFi. The kitchenette includes all necessary utensil to prepare meals, including a microwave and a refrigerator. The lively Ribeira area is around 20 minutes’ walking, and guests can cross the bridge to have a wine tasting experience in Porto Wine Cellars..